Prepare and bake the one bowl vanilla cake. Place the sugar, rosewater and water in a large bowl and whisk until smooth. 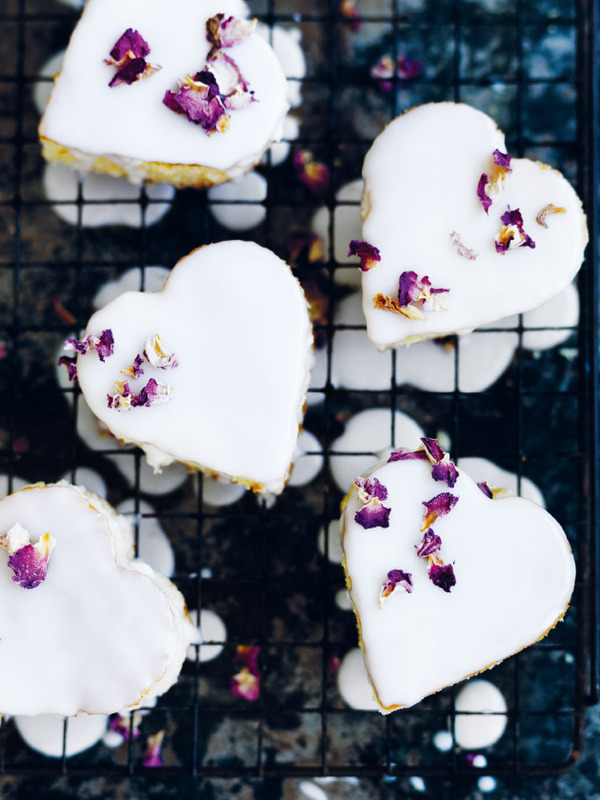 Use an 8cm heart-shaped cookie cutter to cut hearts from the cake. Spoon over the icing and top with petals. Refrigerate until just set. Makes 8. + Rosewater: an essence distilled from rose petals, rosewater is one of the cornerstone flavours of Indian, Middle-Eastern and Turkish tables. It’s usually used in sweets and is the distinctive flavour in Turkish delight (lokum). + Edible dried rose petals: pesticide-free, organic rose petals are sold dried in packs at cake decorating stores, specialty food shops and online. Ensure the packaging states they’re edible. They can be used on all kinds of sweet treats.